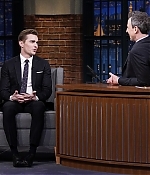 Dave is set to be one of the guests on the May 6 episode of ‘Conan’ as part of his ‘Neighbors’ promotional tour. Check your local TV listings to catch him up! We should have the full clip up the day after the appearance, so be sure to come back then! 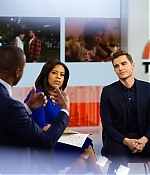 Dave Franco Talks ‘Neighbors’ on The Ellen Show! He’s starring in the hilarious new comedy with Seth Rogen and Zac Efron. Dave brought some fun stories from the set to share with Ellen. Dave also shared super cute pictures of his family and his cats! 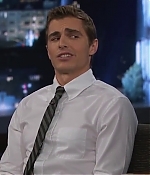 I’ve added 223 screencaps of Dave’s appearance on Jimmy Kimmel Live earlier this year promoting ‘Now You See Me’. I’ve also attached the videos below if you’d like to take a look. Enjoy! Two stills of Dave’s appearance on The Ellen Show have been added to the gallery. It appears that he’s once again attempting to split a banana in half and as in most interview, talking about his cats. Upcoming Jimmy Kimmel Live Appearance! Dave is scheduled to make an appearance on Jimmy Kimmel Live on June 4th at 11:35/10:35c as part of his ‘Now You See Me’ promotional tour. Check your local TV listings and set your DVR to catch him on time! We should have the full clip up the day after, so be sure to come back then! Dave is set to be one of the guests on the May 31 episode of ‘The Ellen DeGeneres Show’. Click here to check when it’s on in your area and be sure to come back next week for the full clip of his appearance. 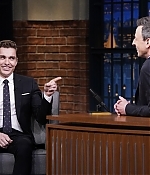 He’s starring in the thrilling new film “Now You See Me,” which is all about magic — one of Ellen’s favorite things! 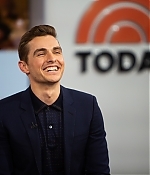 DAVE FRANCO is here to catch up with our host on his life, his career, and his fun new movie!